Earn Extra Brownie Points this Valentine’s Day! 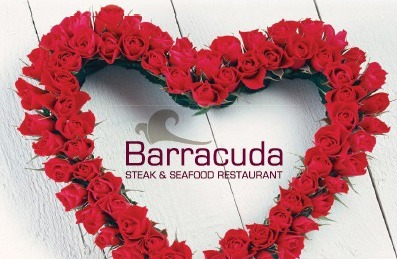 Spoil your loved one this Valentine’s Day and book the special night at Wicklow’s most romantic setting, Barracuda Steak and Seafood Restaurant. Indulge in our special Valentine’s Day menu, enjoy a complimentary glass of Prosecco, a beautiful photo memento and live music. 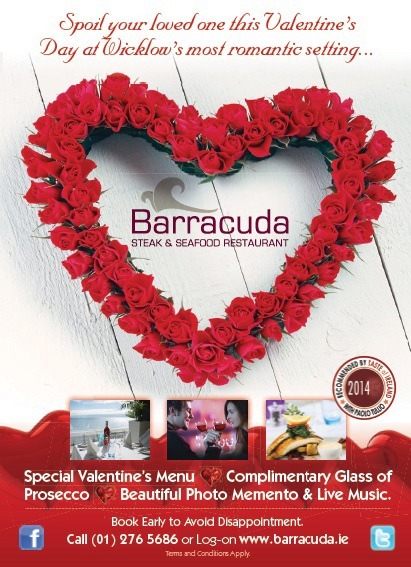 Barracuda Steak and Seafood Restaurant, the venue Valentine’s is made for! To book, call (01) 276 5686 or visit Barracuda.ie. Barracuda Steak and Seafood Restaurant is a unique venue, situated on Bray seafront. Open seven days a week (from 10am), Barracuda is the perfect location for a relaxing breakfast, a delicious lunch or even a romantic dinner. Offering floor to ceiling windows and an outdoor terrace, guests are able to enjoy stunning views of Bray Head and the Irish Sea. The menu provides guests with a wide choice for every occasion. Barracuda’s Head Chef, Terry Sheeran manages a team that delivers fresh and seasonal food which is executed to perfection. 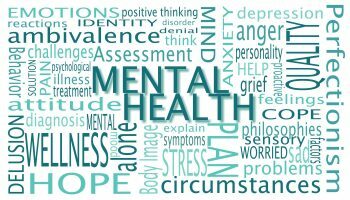 Along with the spacious restaurant, there is also a private function room that is available for meetings, parties, communions, confirmations, seminars and much more. 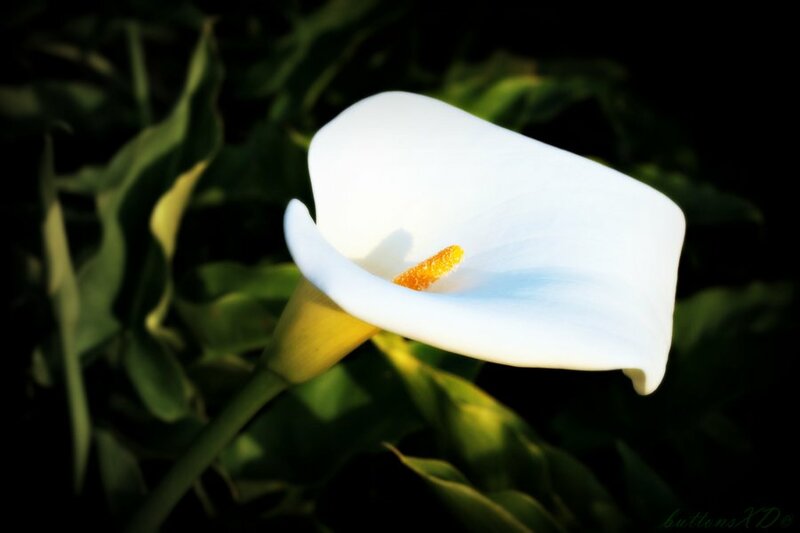 The restaurant is also an ideal setting for a romantic wedding reception and the excellent staff are more than happy to discuss customer needs to make any event, an event to remember.